Washburn Acoustic Guitar has a proud heritage. Ever since 1883, Washburn has been making quality acoustic guitars priced to be affordable by the general public. While always a favorite with guitarists, Washburn solidified their reputation as the creators of great acoustic guitars at the turn of the 20th century. It just so happened that their guitar shop was located just blocks away from Maxwell Street where the delta blues would revolutionize the music world, and Washburn became a name associated with quality craftsmanship. The various guitar series offered by Washburn represent some of the very best in the Washburn collection. And while acoustic guitars are not the only thing that the company makes, the instruments that they do sell live up to their reputation as the producers of great acoustic guitars. Washburn’s Solid Wood Series are naturally colored guitars that come in one of two body styles; dreadnought or classical. Both styles come with solid tops (either cedar or spruce) and either solid mahogany, rosewood, or ovangkol wood backs and sides. 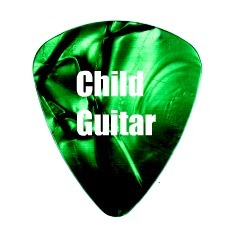 The choices in guitar style are given to accommodate both those who enjoy fingerpicking (classical) or those who prefer flatpicking (dreadnought), though both are designed to produce a full, rounded sort of tone that resonates well and has rich overtones regardless of playing style or the venue the instrument is played in. 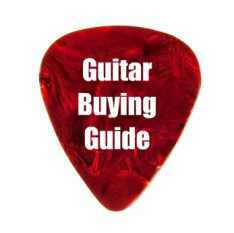 Both types come as either standard models or as cutaways depending on the player’s preference. While both styles play smoothly, neither are designed for beginning guitar players but rather for experienced players who seek a high quality guitar. And though they are a bit hard to play at first, once they are broken in, the tone just keeps getting better and better. Some of the earliest Washburn Acoustic Guitar models had some of the best reputations, and when you purchase a model from Washburn’s Vintage Series, you’ll understand why. Crafted to last, these recreations of Washburn’s early models have retained some of the best features of the day, including the original style bracing, spruce tops, and trembesi back and sides. These lovely re-designed models are just as inspiring, and just as affordable, as their predecessors, and definitely live up to Washburn’s reputation as the maker of great acoustic guitars. The Washburn WD Series features a great range of dreadnought guitars. Available in a variety of tonewoods, these beauties are easy to play, even right out of the box and have the powerful tone and projection that has made dreadnoughts one of the most popular guitar styles today. Even though the dreadnought body (with its broad shoulders and deep body) can be difficult to manage for smaller players, the sound is rich and powerful and great for all varieties of playing styles. Within the WD series are ‘mini’ series based on the kinds of tonewoods that the guitar(s) are made out of; these include mahogany, rosewood, Tamo ash, Flame maple and koa woods. Each guitar in all of the WD series come with either a solid Alaskan Sitka spruce top or a solid cedar top, one of the reasons that the WD series has a reputation for producing such rich, full-bodied sound. The Washburn Acoustic Guitar Woodline series has one defining feature; that of the very light open pore finish used on all of its guitars. 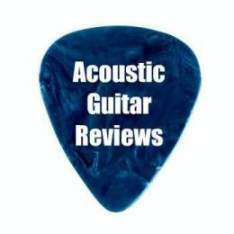 This super light, porous finish allows the wood of the guitar to breathe, improving not just the tone of the guitar, but its resonance, sustain and projection as well. The Woodline Series can be had either in grand auditorium or dreadnought styles and each has either a solid spruce or solid cedar top with either mahogany, flame mahogany or rosewood back and sides. The natural beauty of these instruments combined with their special breathable finish gives them a rich tone that just keeps getting better the longer you play it. The Washburn Classical Series acoustic guitars are designed to be heard and are the guitar of choice for many professional classical musicians due to their quality craftsmanship and affordable price. Crafted to produce a rich, full-bodied tone the guitars of the Classical Series are well balanced; each note easily heard; they are also very easy to play, and though the strings a Washburn Classical Guitar comes with may have to be changed in order to bring out the guitar’s best sound, a little tweaking results in an excellent performing instrument. These guitars are made to be played, and are constructed in a way that allows them to rest comfortably against the player’s body, making them easy instruments to manage. Excellent performance guitars, the Washburn Classical Series have solid cedar or solid spruce tops that give them the extra resonance and projection necessary for the classical performer and at a price that won’t break the bank. Washburn’s travel series consists of two specific guitars; the Rover and the Minstrel. Both are designed to be the perfect travel companions whether you are catching an overseas flight, driving cross country, or hiking overland. Small and sturdy, both guitars have solid spruce tops as well as mahogany sides and backs, and it is only in their styling that they differ. Both guitars are 24” scale, and shaped rather like tear drops, only the Minstrel is made to be more of a slightly elongated teardrop with a slightly bigger sound hole giving it a different tone from the Rover. Both are great for taking with you no matter where you’re headed however. 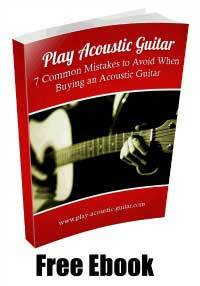 Why Choose a Washburn Acoustic Guitar? As you can see, Washburn’s history and reputation for providing producing some of the best acoustic guitars has not been tarnished over the last 127 years. With so many styles and tonewoods to choose from, there is bound to be something for everyone no matter if you are a novice or a professional, and regardless of your personal preference in playing styles. With prices specifically kept within the average purchaser’s range, a Washburn Acoustic Guitar makes a great choice for a beginner’s acoustic guitar and provides plenty of choices when you are ready to upgrade. Founded by George Washburn Lyons, the company focused its efforts on the Washburn Acoustic Guitar (versus electric guitar). Renown artists playing Washburn guitars include Paul Stanely of KISS, Nuno Bettencourt of Extreme and Scott Ian of Anthrax.